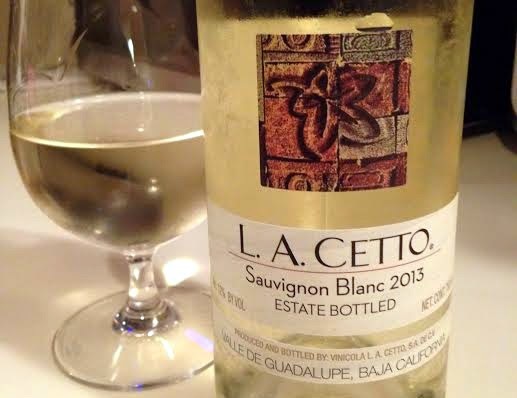 This is the 2013 Sauvignon Blanc from L.A. Cetto. Estate bottled in Valle de Guadalupe (Guadalupe Valley) in the state of Baja California, Mexico. The ABV is 12%. It was Commended at the 2014 Decanter World Wine Awards. The most interesting thing about this wine at first glance is how the bottle attracts attention to how pale the color of the wine is. Its almost non-existant flavonols make it look like a dirt-cheap Italian Pinot Grigio but the package makes it look cool. There's not much room covered by a label, a great portion of the upper bottle is exposed, and what label there is just plays off of its super light hue. The wine does have a slight green tint to it, an indication that it might taste like asparagus. I'm scared. This might not turn out well. In defense of asparagus, I love asparagus. It's my favorite vegetable. Grilled with salt and pepper and olive oil? You can't beat it. But it takes a certain kind of mood to dig an asparagus flavored Sauvignon Blanc and I'm not in it right now. Aromas of cilantro, lychee, lime and orange peel with a touch of floral wake right up. Hello! Who are you? My name is Joey and I hope you enjoy being digested. 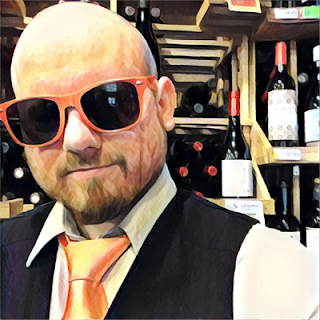 The palate is super limey, the fruit and the limestone, with apricot and juicy clementines in the background somewhere. The finish is white pepper and cantaloupe picked out of a fruit salad. I ate some cheese to cut down the acidity and tartness to see what would happen. The fruit profile softened into pear and honeydew melon. This is a fruit-driven Sauvignon Blanc, hold the grapefruit. It's not Mineral City like the Sauvies of France or parts of California. There's no asparagus whatsoever like the green could indicate. There's no grass or chives or jalapeno or bell pepper, which are all other possible characteristics of Sauvignon Blanc. I like all those things but I also like this. And I'm very grateful it's missing the floride flavor that's been plaguing affordable Sauvignon Blancs the past few vintages. Sauvignon Blanc is just so versatile. There are so many different profiles of the same grape in different places. Say whatever you want, but I do feel that this is the style that should be coming from Mexico. That lime and cilantro couldn't have a better match for local cuisine. For a $10 bottle I've got to say it's a pretty ideal crowd-pleaser that the wine educated can enjoy as well. Just remember to not chill it too much. Let it express itself.